Robert Charles Gruppé, in the classic Renaissance tradition, benefited from a twenty-year apprenticeship under his father at the Gloucester School of Painting. Upon receiving a two-year scholarship from the Elizabeth Greenshield Foundation of Canada, he studied drawing under the tutelage of sculptor George Demetrios. Robert continues the artistic legacy of his father Emile and grandfather Charles P. Gruppé, in his own evolving personal style, which embodies the influences of his heritage and his environment - Cape Ann, Massachusetts and Naples, Florida. He records the impressions of a scene with increasingly powerful brushstrokes in his characteristic palette of vibrant colors. 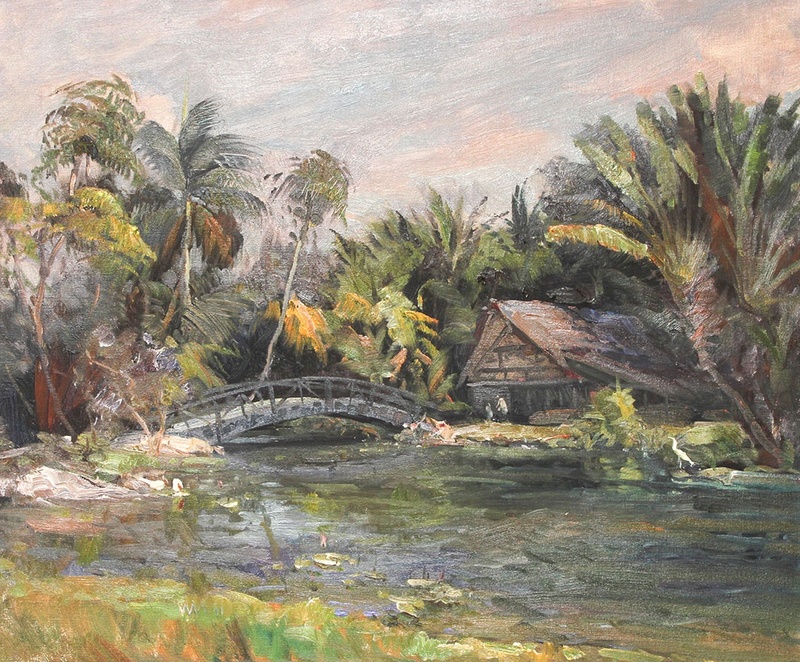 His paintings capture the light, movement, and mood of the composition. They share with the observer a story, which blends the past and present combining his family tradition with a contemporary need for a personal statement. Robert C. Gruppé has exhibited for over 30 years in Gloucester's distinguished North Shore Arts Association and in the Meriden, Connecticut Art Association, winning numerous awards. Some of his most recent awards include the Rockport Art Association Great Gatsby Award and the Roger Curtis Memorial Award. He was a recent recipient of the North Shore Arts Association's Gorton's of Gloucester Waters of the World Award and Margaret Fitzhugh Brown Memorial Award, as well as the Gold Medal Award. Robert's work is shown along the entire Eastern seaboard and collected by museums and private collectors alike.